...stay right here! We just had our very first ladybug sighting! Ladybugs are the good luck symbol for those adopting from China. The very special thing is that this ladybug was sitting on our plumeria! 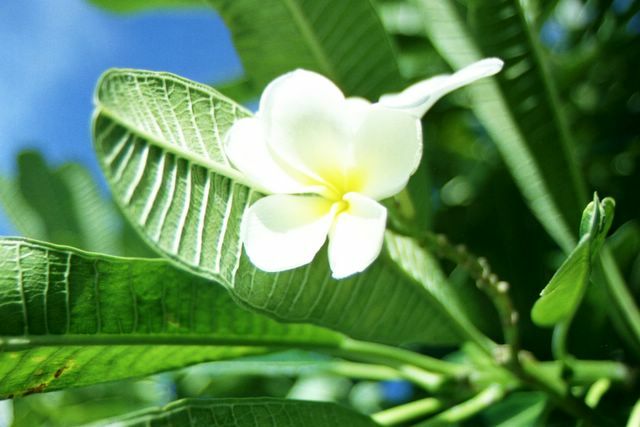 For those who don't know, our plumeria is our most precious plant and my favorite flower - we brought it back from Hawaii. It's been enjoying summer outside and growing like crazy (no flower yet, though). And now it has a little ladybug friend!